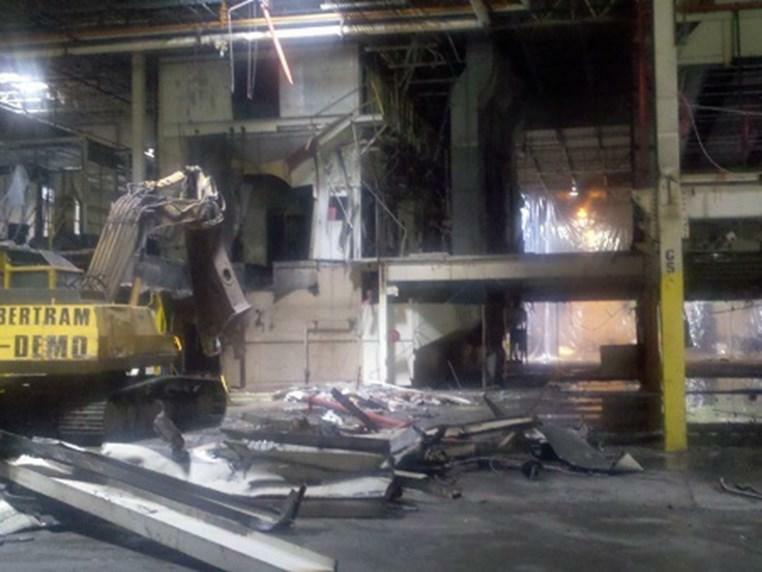 Selective demolition of factory production line inside of large industrial facility. 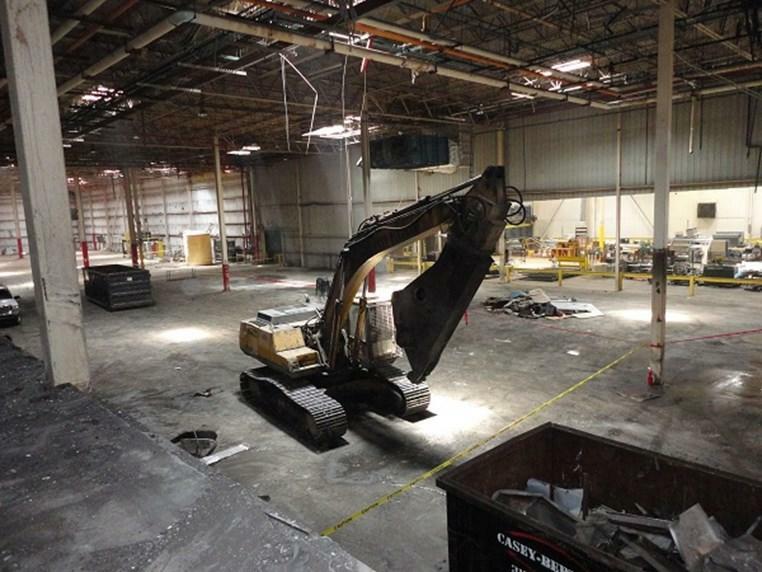 Project also included removal of steel exhaust vents, stacks, and misc. steel structures on the roof.